I'm Ron Stephens. I would like to welcome you to the National School Safety Center website. NSSC was established in 1984 by presidential directive. NSSC continues to serve as a viable school safety partner and resource for individual schools, school districts, school leadership organizations, and law enforcement agencies -- both nationally and internationally. NSSC is committed to serving our nation's schools and youth-serving professionals by assisting them with training, technical assistance and effective, up-to-date resources and tools. NSSC remains dedicated to the support and protection of all children -our nation's most precious resource and our future. The information, resources, and tools presented on this website have been carefully developed and reviewed for your use. Schools and school districts should thoughtfully assess, select, and tailor the resources to the specific needs of your school community and culture. There are two types of school administrators: those who have faced a crisis and those who are about to. In an ideal world, one would like to prevent all school crime and ensure the safety of each staff member and student. The reality is so many things are outside the control of the school administrator that such a task is virtually impossible. To attempt to predict the disruptive behavior of a student, a staff member, an intruder or a terrorist is unrealistic. However, armed with the knowledge that this could happen, the astute administrator and school community leaders can take actions to prepare for a crisis, avoid a crisis, preclude successive crises, and now, equally important, to lead the healing process following a crisis. An effective starting point for school administrators is to place school safety on the educational agenda. Make safety a priority. Establish a responsible supervision plan for students before, after and during school. Minimize entrance and exit points to the school for both vehicular and pedestrian traffic and have an appropriate visitor screening program. Utilize current technology to link information sharing and support networks for children. Creating a close working partnership with law enforcement and first responder agencies is also important and using technology to link those systems and services. A mutual aid agreement with relevant crisis response agencies is important. Will these strategies alone stop all crime? In reality, probably not but they represent a responsible beginning. Within the context of implementing the best practices including cooperation with local law enforcement and first responders, including heightened vigilance we can make a positive difference. During the time I have served as Director of the National School Safety Center I have spent a lot of time with administrators who have faced the crises. I've been to Columbine, Oklahoma City after the terrorist bombings, New York, Red Lake, MN; Paducah, KY; Pearl, MS, Bethel, AK; Moses Lake, WA; New Orleans; Benton, KY and a host of other communities working with school officials in the litigation that generally follows these events. Each of the administrators have all said the same thing: "we never thought it would happen here." In each of these tragedies there were bits of information - pieces of a puzzle - that if all the people holding them had come together at the same and in the same place, more likely than not they would have had the opportunity to preclude or at least better prepare for the crisis. However, hindsight is much clearer than foresight. This is a tall order for school officials. Educators should not be expected to prevent all crime and acts of violence, but they are expected to take "reasonable" steps that focus on crisis prevention, effective crisis preparation and appropriate crisis response in providing for the safety and well being of all children and staff. Having appropriate systems and plans in place to support safety of children will help insulate the school districts and school officials from the litigation that most certainly will follow. This nation's educational system has its foundation at the local level. Education is a federal concern, a state function and a local responsibility. Assigning such responsibility to parents, students, educators and other citizens closest to the need for schooling is both appropriate and demanding. No greater challenge exists today than creating safe schools or restoring schools to tranquil and safe places of learning. The challenge requires a major strategic commitment and involves placing school safety at the top of the educational agenda. Without safe schools, teachers cannot teach and students cannot learn. A safe school is foundational to the success of the academic mission. Safe school planning is all about the "art of the possible." It is not limited to special restraints or set of guidelines. Each school community has the opportunity to shape the school climate it wishes to create. A safe school plan, more than anything else, is a function of community will, priorities and interests. It requires partnerships and cooperation. The components and the players are limited only by the creativity, energy, and commitment of the local community. Crucial players include students, educators, parents, law enforcers, judges, recreation program directors, prosecutors, probation directors, mental health leaders and other youth-serving professionals. A safe school is in place when students can learn and teachers can teach in a welcoming environment, free of intimidation and fear. It is a setting where the educational climate fosters a spirit of acceptance and care for all students; where behavior expectations are clearly communicated, consistently enforced, and fairly applied. A safe school is also one that is prepared to respond to the unthinkable crisis. The process of creating a safe school begins by putting yourself in the minds and hearts of your students. How might they answer the following questions? How would you answer the same questions? What can I do if I don't feel safe at school? What needs to be done to make my school safer? The answers should serve to remind us that the school safety needs of our children are very similar to the needs we would identify as parents, educators, community members and other school safety partners. When these questions can be asked and answered effectively, the answers and their insights will guide a school community toward making responsive and appropriate decisions for safe schools. Placing school safety on the educational agenda. Establishing a comprehensive safe schools program that responds to the needs of the local community. Establishing clear behavior standards and opportunities for student involvement. The key supporting actions and related strategies that follow can promote safe schools where children can develop their skills as successful, socially responsible citizens. For the most part, these strategies cost little or no money. These options should be considered and implemented based only on the needs and circumstances of the local community. Placing school safety on the educational agenda is a mandatory first step toward safer and better schools. School districts tend to achieve what they measure. Administrators must make a conscious decision that safe and welcoming schools are a high priority and measure their progress toward that end. The commitment provides the basis for the enhancement of existing strategies and the development of new strategies to achieve this goal. Incorporate school safety in the educational mission statement. The school's mission statement should reflect the context in which the school community wishes academic learning to take place. For instance, the phrase "To learn in a safe, secure, and peace environment, free of violence, drugs, and fear," enhances the school's legal position to create and enforce policies promoting a disciplined school climate. A statement of this nature can markedly increase the validity and credibility of the district's efforts to create and preserve a safe environment. Mandate crime reporting and tracking. A uniform school crime-reporting and record-keeping system is critical to maintaining a safe, secure campus. It is important for administrators to know specifically what crimes are being committed on their campuses, when and where the crimes are committed and who is involved. Once such baseline data is collected, the processes of appropriate analysis, response and assessment can begin. This problem-solving process includes collaborating with key school safety partners. Compile a summary of laws pertaining to school safety. The district's legal counsel should compile a summary of federal, state and local school safety-related law and policies. This user-friendly guide should be made available to school leadership and all site administrators and law enforcement/security personnel to ensure consistency of student supervision and management. Conduct school safety training programs. Each school year, district and site administrators with law enforcement personnel should review and update school safety procedures. In addition, all staff should be regularly updated on safety plans through in-service training. The training should include certificated and classified staff, part-time and substitute employees, and volunteers as appropriate. Provide training that meets the needs of classroom teachers and administrators. In-service training regarding student behavior management should be offered for teachers and others involved in student discipline. Teachers must develop skills and strategies for shaping positive learning environments, controlling disruptive student behavior, and dealing with difficult parents. School districts should develop a comprehensive, district wide safe schools plan. This plan should be complemented by a safety plan for each school site. These plans benefit from the collaborative input of key school safety partners, including parents, students, educators, law enforcers, the courts, probation and social service personnel, the faith community, and corporate and other community leaders who represent the culture and diversity of the community. Safe school planning requires vigorous, ongoing interagency support. Plans should be annually updated and broadly disseminated to students, parents and staff. Sometimes a crisis is unavoidable. An effective crisis plan focuses on crisis prevention, preparation, management, resolution, and healing. The crisis plan also identifies community resources to serve and support students during and after a crisis. The plan delineates responsibilities for each school safety partner and staff member as well as step-by-step procedures for immediate crisis response, including lockdowns, evacuations or recovery. Every school site should conduct an annual safety assessment. Evaluation is a continuing reality check to identify and refine the actions and attitudes taken by the school community to create and maintain a safe school. The assessment may reveal that additional steps should be taken to improve adult supervision, revise curricula, pass legislation, redesign facilities, or establish new programs. Enhance an understanding of culture and diversity. Stress the unique worth and contribution of every person or group by engaging them in the safe school planning process. Recognizing the impact of cultural influences on a school community's ability to create safe, secure, and peaceful schools for all students is critical for those designing safe school plans. Cultural influences will directly affect the information, strategies, and resources that will be used to plan, create, and promote a safe and peaceful school as well as to prevent a school crisis. The same cultural influences are invaluable to creating a plan to manage and respond to a crisis whether it happens at school or is one that directly or indirectly affects your school. The plan will be the one used to minimize harm from a crisis and to promote a school's healing and recovery from that crisis. Recognizing the impact of cultural influences on a school community's ability to create safe, secure, and peaceful schools for all students is critical for those designing safe school plans. Cultural influences will directly affect the information, strategies, and resources that will be used to plan, create, and promote a safe and peaceful school as well as to prevent a school crisis. The same cultural influences are invaluable to creating a plan to manage and respond to a crisis whether it happens at school or is one that directly or indirectly affects your school. The plan will be the one used to minimize harm from a crisis and to promote a school's healing and recovery from that crisis. Carefully screen and select new employees. One key decision school communities make involves deciding who will teach, train, coach, counsel and lead their children. Increasing litigation against school systems and child-care providers has created a financial reason to conduct appropriate background checks to protect the safety of children. Every school system should have clear policy guidelines and procedures to identify individuals with criminal backgrounds, especially those with a history of misbehavior involving children. Any record-screening program must consider the rights of privacy and due process as well as the right to a hearing when disqualification is involved. The screening program also must balance these rights against the rights of the children who will be served by the individual. Create a climate of ownership and school pride. Campus pride begins with a clean and orderly school and a positive neighborhood environment. Efforts may include the development of a graffiti abatement and community clean-up program. Schools should work with law enforcement and community leaders to provide a crime-free, non-threatening safe passage to and from school. School safety partners can work on ways to shut down drug houses and stop illegal group activities in school neighborhoods. The local U.S. Attorney and city and county officials are examples of excellent safe-school partners. Their support is critical to abate gangs, drug activity and graffiti. Create a safe and welcoming campus. Many elements are part of creating a welcoming campus. Knowing your students and their parents, greeting and talking with students regularly, being present in the hall during class changes, visiting classrooms, and participating in school events are crucial to effective school safety leadership. In addition, providing opportunities for students to participate in making their school safe and welcoming for themselves and others is of great benefit. The condition of the physical plant and its maintenance are also important. School policies and rules should be clearly written, effectively communicated, consistently enforced, and fairly applied. School policies and rules should reflect behavior expectations outlined in federal, state, county and local statutes or ordinances. Review and update any documents that reference school policies and rules concerning student behavior and discipline. Require that students and parents provide written acknowledgment that they have received and read the student discipline code. Some school have designed creative ways to "market" their school policies and discipline codes, including classroom posters, bookmarks, calendars, and videos for both students and parents. Ban forms of nonphysical intimidation. Psychological intimidation can be as damaging as physical assaults. "Hard looks," "stare downs," exclusion, bullying, harassment, acts of extortion, and other forms of intimidating behavior should be identified as actionable offenses in the student code of conduct. Such threatening behaviors have the potential to escalate into more serious crimes and should not be tolerated. Develop and enforce a school dress code. Professional and courteous behaviors among staff and students can begin with an appropriate district wide dress code policy. The policy should set specific and unambiguous appearance standards for both students and staff. The dress code should be consistently enforced. Gang apparel and sexually explicit or suggestive attire should be prohibited. Involving students, parents and staff in developing appearance standards can increase and promote acceptance of the policy. In the past, some school districts adopted the use of specific uniforms for students. The current trend appears to strike a more balanced approach, which focuses on "standardized" dress and provides students greater flexibility within a range of dress code options. Require restitution and community service for all juvenile offenders. Create a coordinated school safety program for students. Students should be involved in their own safety and safe school planning. Students represent one of the best resources for promoting and maintaining a safe campus. A school safety program for students can also include specific activities, curriculums, support services, peer activities, and partnership programs. Adopt a personal and social skills curriculum that focuses on good communication, decision-making, responsible citizenship, and conflict resolution. School violence is often the tangible expression of unresolved conflict. A conflict resolution program that emphasizes problem solving can contribute to mitigating and eliminating interpersonal problems among students. An effective peer-counseling program can head off many problems before they reach explosive levels. Students trained as peer counselors can serve as influential resources for nonviolent problem solving. Polarization among student groups and a rise in gang activity indicate a need to develop educational programs that bring students together and focus on safety, respect, acceptance and cooperation. Involve students in planning and managing student events and campus improvement projects. Encourage students to report any suspicious individuals or activities on school grounds. Provide students and staff with a toll-free, anonymous tip line for reporting weapons, threats, safety concerns, and criminal activity. Student participation in school safety efforts promotes responsible student development and maturity, enabling students to be part of the solution rather than being perceived only as part of the problem. Establish an engaging system of extracurricular programs and services. Without positive and challenging activities, students tend to fill the void with negative activities. A safe school provides students with choices of activities before, during and after school. Schools must work with the community's local recreation department, social services agencies, youth groups, and civic organizations to ensure that children, youth, and their families have a safety net of agencies, advocates and services available to them. Recent studies show that most young people believe adults play a major role in counseling and encouraging kids toward nonviolence. Young people need continuous responsible supervision. This may include teachers, administrators, parents, campus supervisors, staff aides, support personnel, or law enforcement officers. As you engage the entire community in your safe school plan, do not forget the resources that lie within your senior community, including time, talent, an interest in young people and a willingness to serve. Assign specific roles and responsibilities for supervision. Policies and procedures that detail the safety/security responsibility of staff and faculty members, law enforcement, other security personnel, custodial and maintenance staff, and campus volunteers should be developed. These responsibilities may include monitoring and patrolling specific areas of the campus, observing questionable or suspicious activities, and intervening and reporting activities that threaten school safety as appropriate. Identify, monitor and supervise repeat offenders. Most school crime problems are caused by a small percentage of students. To discourage their continued misbehavior and criminal acts, school leaders should track, monitor and closely supervise these students. Establish guidelines for sharing and acquiring information and juvenile records from juvenile court system and other municipal and/or county service agencies. Repeat offenders benefit from the structure of the school day. Place such students with teachers, counselors and other staff members who are experienced in dealing with juvenile offenders. Intensify the supervision of these students. Assign them to lockers that are clearly visible and easily supervised. Design class schedules that keep these students engaged and productive. Identify local resources and youth-serving agencies in your community that can help support repeat offenders and their needs. Expand alternative placement options for troubled youth. Clearly articulate your locker policy. A school locker policy should appropriately reflect the district's custodial right of property. Students and parents should be notified in the student handbook that lockers "and their contents" may be searched at any time for reasons of health and safety. Distributing district-owned locks to students or requiring that students use only locks for which the school has combinations will further enhance the school's custodial position in conducting routine locker checks. Distinguish between disciplinary matters and criminal offenses. Train school leaders and others responsible for discipline to recognize and respond appropriately to violations of education code, school policies and rules and violations of the penal code. Establish a community volunteer center on each campus. The center can recruit, coordinate and encourage parents and other community members to participate in the educational process. Possible activities include helping with supervision, field trips, and classroom activities and participating in special events. A special training program that outlines expectations and responsibilities for volunteers is helpful. Parking lots and school buildings with multiple entrances and exits maximize the potential for vandalism and defacement of vehicles and school property. Continuing efforts should be made to minimize the number of campus entrance and exit points used daily. Individuals familiar with the student body should supervise access points to school grounds regularly. Campus traffic, both pedestrian and vehicular, should flow through areas that can be easily and naturally supervised. Delivery entrances used by vendors also should be checked regularly. Perimeter fencing should also be considered as a means of restricting access to campus. Establish an emergency communications center. Establish a communication system for immediate/emergency contact with teachers, campus law enforcement and safety/security personnel, and other staff. A school communications network should link classrooms and schoolyard supervisors with the front office or security staff, as well as with local law enforcement and fire departments. At least one radio with cellular phone capability should be available on campus for emergencies. Detention classrooms or facilities for behaviorally disruptive students also should have emergency call buttons. A fully computerized public safety emergency frequency is recommended. Establish appropriate signage and uniform screening procedures to monitor visitors and potential campus intruders. Signs directing persons to the office should be placed in strategic, visible locations and should be large enough to attract visitors' notice. Visitors should be required to sign in at the school office, state their specific school business, and be required to visibly display a visitor's badge. All school employees should be trained to courteously challenge unidentified persons and direct them to the main office. "May I help you?" is a kind, non-threatening way to begin. Use current technologies that promote crime prevention. A host of options exists relative to access control, property identification and supervision. For example, consider keyless entry systems with electromagnetic door locking systems. Proper control strategies, such as microdot systems, surveillance cameras for difficult-to-supervise public areas and other high-tech strategies, may be appropriate and should be based upon local risks and current crime problems. Require picture identification cards for each student and staff member. A school administrator is responsible not only for keeping students away from trouble, but also for keeping trouble away from students. Being able to distinguish enrolled students from non-students and guests is critical. An effective picture identification system enhances the control and management of the campus. Authorized parent volunteers and school visitors also should display clearly identifiable badges or name tags. Promote crime prevention through environmental design. The way a campus is managed and maintained often affects its potential for attracting school crime. Eliminate obstacles such as trash cans and architectural barriers that block or impede traffic flow as well as supervision and surveillance. Provide maximum supervision in heavy traffic areas. Trim or remove shrubbery that interferes with natural surveillance. Use parabolic/convex mirrors in stairwells and locations that require improved supervision. Replace double-entry restroom doors with an open zigzag design to better monitor behavior in restroom areas. Use automatic flush valves and automatic water faucets to reduce vandalism and control water consumption. Provide strategically located public telephones with dial-free connections to emergency services. Relocate safe activities near typical trouble spots. For instance, consider relocating a counselor's office near a corridor or locker bay where problems have occurred. Conduct ticket sales or concession activities in or near problem areas. Remove posters from all windows. Limit opportunities to transport and store contraband. Some schools have put in place crime prevention policies that include: allowing only clear plastic or mesh book bags, or no book bags at all; eliminating lockers; establishing a coat check area for oversized articles of clothing capable of shielding weapons; and providing students with two sets of textbooks, one for home and one for school, to eliminate the need for book bags and to reduce the time for class changes. While the options for all these strategies require some creative problem solving the added measure of school safety is well worth the effort. Stress that campus parking is a privilege, not a right. Consider placing a probation officer on campus. Probation officers can provide additional intensive supervision for students on probation who attend school. Exercising such an option can complement the efforts of student personnel staff, who then can invest more time reinforcing positive behavior among all students, rather than simply disciplining troublesome students. Enhance interagency cooperation among youth-serving professionals. Creating safe schools is a community function. Schools cannot accomplish this task alone. Safe schools actively cooperate with community agencies. Campus security operations should be coordinated with local law enforcement agencies. Understand and be familiar with the National Incident Command System (NIMS) as well as State (State Emergency Managment System) and Local protocols. Include law enforcers in your curriculum, supervision and crisis planning. Community support agencies such as county mental health, child protective services, department of parks and recreation, juvenile probation and the courts together must identify students who are potentially dangerous and provide services to preclude juvenile offenders from causing further problems. These agencies must also provide services that assist in troubled students educational and personal development. Consistently enforce the information-sharing agreements. At least once annually, school administrators should review their information-sharing agreements to make certain they comply with federal and state laws and to ensure school administrators and staff are doing everything possible to share such information with those who have a legitimate need to know. Special follow-up should be given by the court to ensure that court orders and other information-sharing agreements among agencies comply with court guidelines. The student record policy should state that student records may be shared with any teacher, staff member or youth-serving professional who has a legitimate need to know. Safer and more effective schools do not happen automatically. School safety depends on our vision, ability and initiative in developing collaborative system-wide strategies that place safe schools as a top community priority. Ronald D. Stephens was named executive director of the National School Safety Center in 1985. In this capacity, Dr. Stephens has served as consultant and frequent speaker for school districts, law enforcement agencies and professional organizations worldwide. He was described by the Denver Post as America's leading school crime prevention expert. Dr. Stephens holds a California teaching credential, administrative credential and a certificate in school business management. His experience includes service as a teacher, assistant superintendent and school board member. 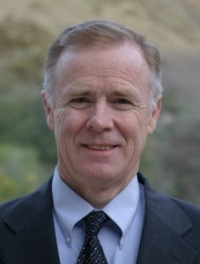 His administrative experience includes serving as chief school business officer and as vice president of Pepperdine University in Malibu, California. Dr. Stephens received his B.S. in business administration and an M.B.A. from Pepperdine University where he also serves as the "School Safety Chair" for Pepperdine University's Graduate School of Education and Psychology. He received his Ed.D. from the University of Southern California.